For the past 6 years, the Element Night events were only held by UTAR Music Club and most of the performance are from the talented band groups from UTAR Music Club. The events were only held in UTAR and only UTARians were invited to join the event due to the limited space in the campus. This time, you'll get to see better performances in a better location (TARUC Sport Complex), not just because it's combined with TARUC Dance club, some famous celebrities were invited to perform too, such as Danny One the Singer, Shawn Lee the beat boxer, Mystical Mirage and Hyper Active Dance Crew! Besides, cheerleaders from TARUC Dance club will be performing some routine too! It's totally a different concept from the past Element Night events! Last year was my first time attending this event with the theme Japanese Anime. As my experience, they actually created sort of story line for the whole program by following the theme of the event. Most of the performers were dressed in Japanese Style such as Naruto, Miku and Japanese School Girl. They even invited famous cosplayers too! Not forgetting to mention that, everyone including outsiders are welcome to join the Element Night 7.0! The theme is "Time Travel". So can you imagine any story line they will be doing? Anyway, here are some promotional videos that you might interested to check it out. 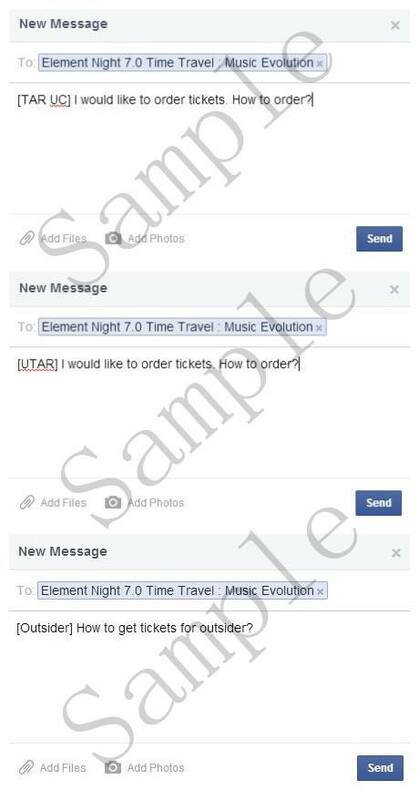 Post by Element Night 7.0 Time Travel : Music Evolution. So what are you waiting for? Click here to like their page for more updates and start to order your ticket now! It's only RM20 and you can enjoy so many performances in a night, you even might get the chance to take photograph or autograph from your idols!